Rohan trained at The Urdang Academy, London. Rohan’s theatre credits include Mary Poppins (National tour); Hairspray (West End); Riverdance (International tour); Joseph and the Amazing Technicolor Dream Coat (National tour); Hair (Munich, Germany) and Some Like It Hip-Hop. His television work includes Children’s Ward (Granada TV) and My Parents Are Aliens and The Big Bag (ITV). 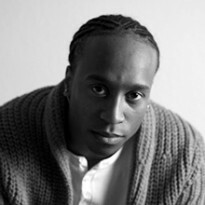 Rohan has also appeared as a backing dancer for recording artists including Beverley Knight, Dionne Bromfield and Lemar.